Martin Audio was founded in 1971 to manufacture and supply world class touring sound systems for the supergroups of the day, including Pink Floyd and Supertramp, allowing them to perform to larger audiences and be heard properly for the first time. Today, Martin Audio enjoys an international reputation for supplying superb professional loudspeaker systems across the spectrum of touring, theatre and installation applications, throughout the world. 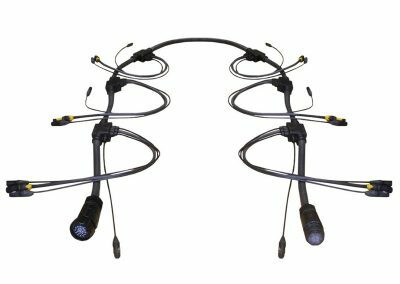 To design an IP67 cable solution, which delivers Bi-Amped audio signals from a central powered sub bass unit to four satellite speaker units, when ground tacked. A rugged and durable solution that will stand up to the rigours of touring. IP67 rated to give maximum resistance to the elements. Plug & Play speeds set up and tear down. The customer has a fully bespoke branded plug & play solution that facilitates instant use of a premier audio product. 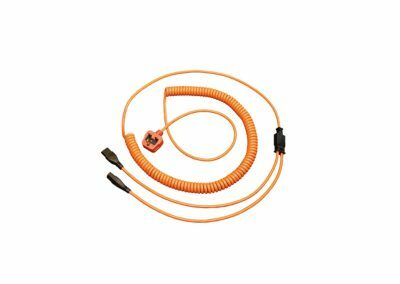 To design an IP67 cable solution to deliver Bi Amped audio signals from a central powered sub bass unit to four satellite speaker units when satellites are flown. In all 8 channels of audio are needed to fire the Mid/High end frequencies. The thinking was how to send 8 channels of audio, requiring 16 cores, when the trim height of the satellite speakers can vary venue to venue. 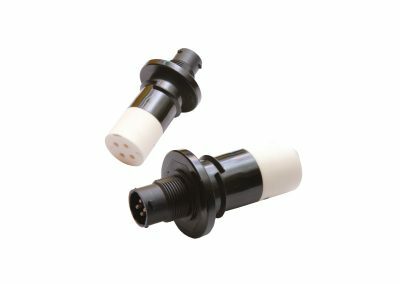 Given the variability of the height requirement an “off the shelf” product was considered and the Socapex connector was selected as they are widely available at events. 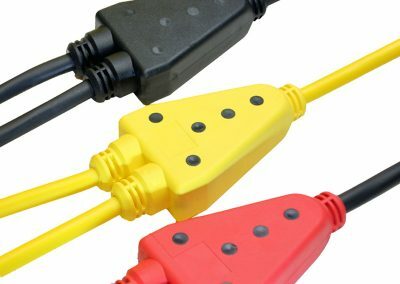 Interfacing a standard 19 pin Socapex extension cable was problematic as the mating Socapex Spider units are designed for 6 way outlets. 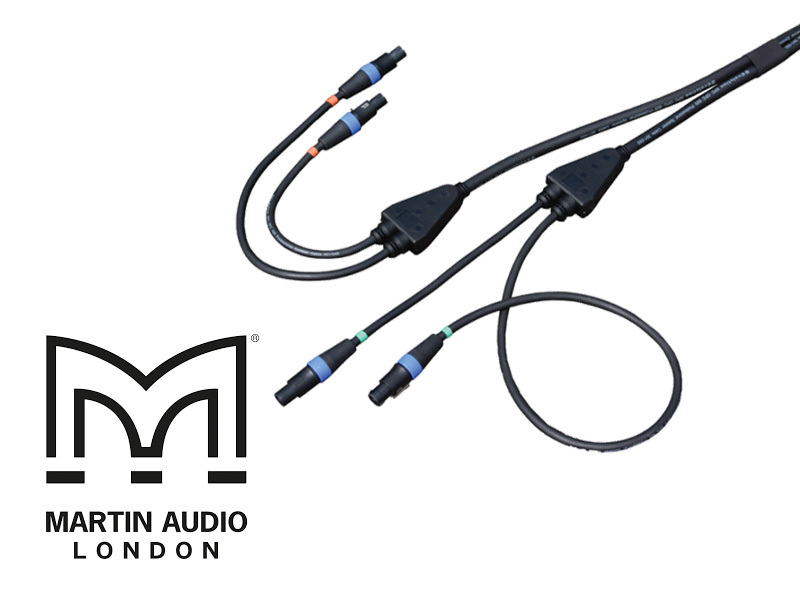 The solution was to cast 2 way and 4 way Socapex Spider seals to accommodate the Martin standard wiring configuration.